GEORGE CLOONEY, as a member of the new Hollywood environmental movement, will be featured in the first "Green Issue" of Vanity Fair. Clooney's efforts to raise environmental awareness and inspire activism are profiled, along with other limosine liberals, enviro elites, politicians, other left-wing prius-driving stars and ARNOLD SCHWARZENEGGER. 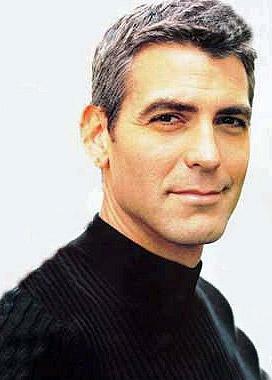 Clooney has also produced "Oil Change," a campaign to educate audiences and reduce our dependence on oil. Clooney also drives an all electric two-seater Tango. It has to be recharged each night.